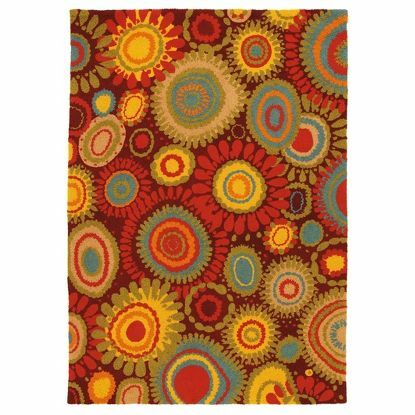 The eclectic, otherworldly sundew flower looks much like the color-bursts on this rug, with their dewdrop-like halos. In crimson, coral and yellow, with rings of blue and green, this vibrant hooked rug is well-suited to brightening outdoor spaces. 100% polyester.